Greenhorns will be there, come introduce yourselves! Founded in 1995, Futurefarmers is a San Francisco-based interdisciplinary collective of artists aligned through an open practice of making art that is socially, politically, and environmentally relevant. Projects by Futurefarmers often involve a residency that engages an institution and its community as they produce exhibitions that may include an internet-driven gallery installation, an interactive computer game, a hands-on learning center or workshop, and/or a public programming series. With each new project, new collaborators may join the collective as the need arises. With collaborators all over the world-including artists, designers, educators, and programmers–Futurefarmers is an evolving global entity. 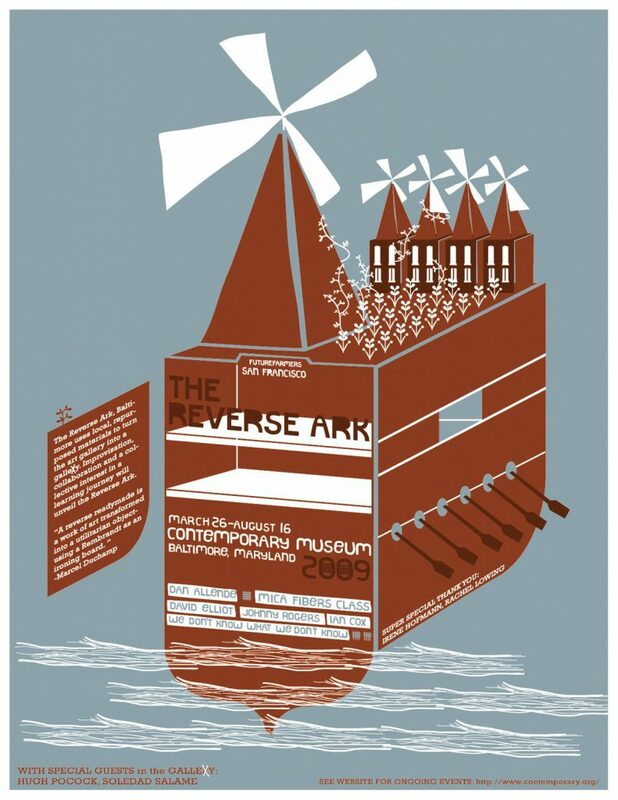 This Spring, the Contemporary Museum is proud to present Futurefarmers’ new project, The Reverse Ark: In the Wake, an exhibition that is part art installation, part community project, part learning platform developed around the concept of an “ark” as a site for preserving, exploring, and learning. For the occasion of The Reverse Ark, the Contemporary will become stage for thought and action-a learning journey. An inventory of recycled materials will inhabit the gallery. Taken out of the waste stream, these limited resources will be the material from which a living laboratory will emerge – a vessel for inquiry and improvisation including workshops, lectures, video screenings and frameworks for reflection. Together we will build The Reverse Ark. In the tradition of free schools, The Reverse Ark will invite us all to be students and teachers alike within a place of shared inquiry. Individuals must generate their own most vital questions and program their own education – an education that aims at generality rather than specialization.